A digital calendar, clock, and calculator with a rosewood finish base. 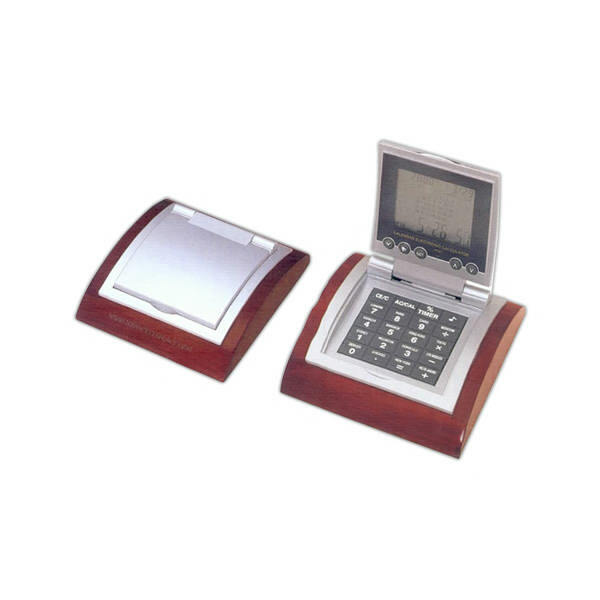 The digital display can be flipped open from the closed position to reveal a numerical keypad for use with the calculator and other functions. The unit also features the capability to set an alarm clock and display the world time. Size: 5 1/2 " x 4 1/2 " x 2 "
Imprint Size:3" x 3/4", 2-1/2" x 1-1/2"